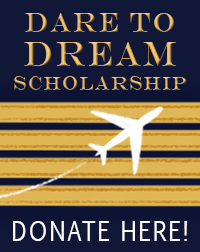 The Dare to Dream Scholarship Program, established in 2009, provides women of all backgrounds and ages the opportunity to pursue their dreams in the field of aviation. 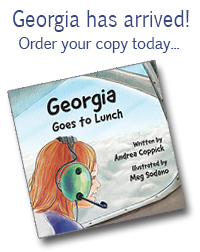 Each year a $3,000 award is given to a candidate seeking advanced training for an instrument or multi-engine rating or a commercial or CFI certificate. The program is one of many scholarships facilitated through Women in Aviation International (WAI), a nonprofit organization “dedicated to the encouragement and advancement of women in all aviation career fields and interests.” WAI, with a membership of over 10,000, an active presence in many areas of the aviation industry, and extensive outreach programs, is able to award roughly $500,000-$700,000 in scholarships annually. Dare to Dream benefits from WAI’s large base of potential candidates, wealth of resources, and nonprofit status. The success of Dare to Dream has been possible because of the generosity of family and friends. Please consider supporting this program as we raise funds for another $3,000 award. Any amount – $10, $20, $50, or more – is greatly appreciated! Contributions are tax deductible. Tax receipts will be emailed by Women in Aviation International. Recipients are selected based on their professional aspirations, commitment, and community involvement. Applicants are required to be WAI members and hold a Private Pilot certification. They must submit the official WAI application form, a letter of recommendation, essay, resume, and copies of relevant certificates. Detailed submission requirements are available on WAI’s website. Applications are due each November.